It was easily one of the best Brier finals in the last 20 years, filled with great shot-making, momentum changes and two stories for the teams involved. I’ve been to just about every Brier since the late 1980s and I’d put this third on my list of great games. I still think Dacey-Ferbey was the best and Hackner-Ryan was also something else. This fits right with those two and, in some ways was actually a better overall game. Hackner-Ryan in 1985 was actually a pretty boring game until The Shot. 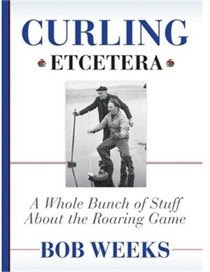 And the television audience obviously thought so as it was the largest Brier audience on record with 1.6 million watching the game and the peak audience reaching 2.5 million. Heading into the playoffs, I never thought anyone had a chance against Howard. But when I saw Koe play the semi, I knew it would be a really close game. In Koe and his team, you have an amazing team that was just looking for a breakout. The squad was far too good to keep posting second-place finishes and never making it to the Brier. Kevin is also a very genuine person. He’s not the best quote in the business, but his honesty usually trumps his quiet tone. And as he gets more in front of the press, I’m sure he’ll improve. What’s interesting in all of this is that, according to Koe, he’s still not certain this team will be together next year in the current lineup. I asked him after the semi-final match and he said that win or lose, they would talk about what they’d do next year after the season was over. There is some talk that one or more of the players are going to choose family time over curling time. If that’s true, what a way to go out. As for Howard, I can’t imagine what’s going through their heads. Two big losses in one year and three Brier losses in five years. Howard himself is three for nine in finals. Now getting to nine Brier finals is pretty remarkable, an amazing achievement. But it was clear the guys were hurting after and who wouldn’t be. I think losing a close one might be a bit easier to take than they way they lost the Trials’ final. They played really well and I’m sure if they had to do over again, they’d re-think the sixth end. Howard, Richard Hart, Brent Laing, Craig Savill, Steve Bice and coach Scott Taylor are all really classy guys. Moments after losing the game, Howard came over to meet with the press – it’s always one of the toughest moments for the runner-up – and he was great, as always. He didn’t mince words, saying losing the two big ones this year was crappy. 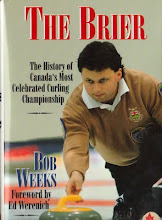 Overall, this Brier was a good one on the ice. Off of it, I don’t think the fans showed up as the organizers would have liked. Just over 100,000 came through the turnstiles and we’ll have to see what the financials look like. Certainly the Olympic hangover was part of the problem but also it shows a number of problems for future Briers. The first is the great job TSN does which makes it easy to stay home and watch. The second is the aging fan base. The third is a nine-day event doesn’t really make a lot of sense from a sporting business standpoint. Those are issues to be dealt with down the road. 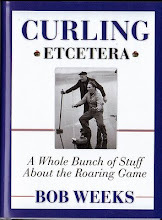 For now, curling can bask in glory of a sensational game that will be remembered for a long time. I had a couple of e-mails asking why my story in the newspaper had no quotes in it. That’s because the game ended right on my deadline – past it, actually – and so as soon as the final rock stopped, I had to send in the story (and yes, I had a separate one written with Howard winning). The later version, with quotes, is on line and you can read it here.